One of my favorite photographers, and the one whose HDR work initially inspired my own foray into the the field, is Bill Simone. I actually do a lot of work with Bill’s photography as the company I work for has hired him on multiple occasions to do photography for catalogs, products, etc. This particular image is not HDR, and I believe it was processed with Lucis Pro, but I could be wrong. 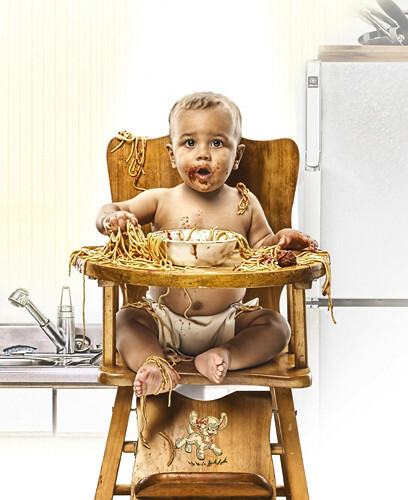 Either way, it’s an excellent image, especially knowing the disasters that young children can create with a simple meal. NOTE: While Bill’s work is posted on Flickr I have been unable to located an actual account for him.